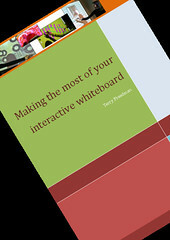 To borrow from Mark Twain, reports of the death of the interactive whiteboard have been exaggerated. Despite often being used ineffectively or even badly, it still has much to offer. I’ve written a brief guide to making the most of your interactive whiteboard which I’ve called, logically enough, Making the most of your interactive whiteboard. Originally, this was in response to a request I received while teaching on a teacher-training course recently.